MIT Technology Review has named University of Washington professor Franziska Roesner one of 35 “Innovators Under 35” for 2017. Roesner is a faculty member in the Paul G. Allen School of Computer Science & Engineering and co-director of the school’s Security and Privacy Laboratory. Roesner’s research spans a number of projects related to privacy and security in emerging technologies. Though these endeavors include diverse platforms such as augmented reality and encrypted communication, her focus is often on the user experience — specifically, identifying the new security and privacy issues that may arise, and mitigating those issues to ensure that new technologies can fulfill their potential for end users. Much of Roesner’s current research focuses on computer security and privacy in augmented reality technologies. Augmented reality, or AR, is aptly named. These are technology platforms in which digital content — such as labels or virtual, 3-D objects — is overlaid on a display of the real world. One contemporary example is Pokemon Go, the popular game that displays artificial characters over real scenes through a smartphone or tablet camera. But the potential for augmented-reality technologies is not just in games. They could soon include devices and apps that are as indispensable as email access is today on a smartphone. Roesner’s research considers security concerns in AR technologies — such as the potential risk of having cameras and sensors constantly drinking up information about a user’s environment — as well as the potential risks of expressly malicious, or simply low-quality or “buggy,” apps that could place an AR user at risk. For example, consider an AR application for a car windshield that intentionally or accidentally blocks the driver’s view of oncoming cars. In these endeavors, she has also engaged directly with companies developing AR platforms, including Meta, a Silicon Valley AR company, and Microsoft Research. Roesner also conducts research on how well users adopt and interact with security tools for a variety of technologies. For example, in recent efforts she works with journalists on tools to protect anonymous or other sensitive sources. Much of this initial research involved looking thoroughly at the different approaches that journalists currently take to communicate with their sources and conduct research for a story. Understanding how journalists work, and how existing security tools may fail to serve their needs, can help build a more effective security tools like improved email encryption, Roesner said. To that end, her team has created Confidante, a new email encryption tool that emphasizes usability. 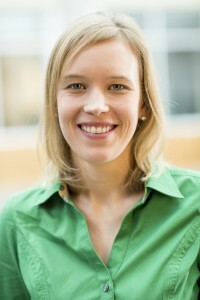 Roesner’s research has also uncovered current privacy risks in technologies, such as user tracking by third parties on websites and data collection by toys connected to the internet. In these and other endeavors, she sees no shortage of pressing questions. “As our technologies progress and become even more integral to our lives, the push to consider privacy and security issues will only increase,” said Roesner. MIT Technology Review has released its list of top innovators under 35 each year since 1999. Past UW honorees include Julie Kientz, associate professor of human centered design and engineering; Abraham Flaxman, assistant professor of global health at the Institute for Health Metrics and Evaluation; Shwetak Patel, a professor in both the Allen School and the Department of Electrical Engineering; Allen School professor Tadayoshi Kohno, who is co-director of both the Security and Privacy Laboratory and the Tech Policy Laboratory; and Shyam Gollakota, associate professor in the Allen School. For more information, contact Roesner at franzi@cs.washington.edu.